As I mentioned before, we are being hosted at the Mumias Sugar Company these first three weeks in Kenya. On Monday, the day after our trip to Kakamega and the culture center, we began our first week of classes. We were welcomed to the complex by Stephen Olieka, the Director of Human Resources at Mumias Sugar, who opened our program. Mr. Olieka shared with us his personal experience with development work. As a child, he had been sponsored to complete his schooling and today he is heavily involved with development work in his hometown, particularly with supporting the local primary school (which now has electricity, water, additional buildings, etc. in part due to his efforts). 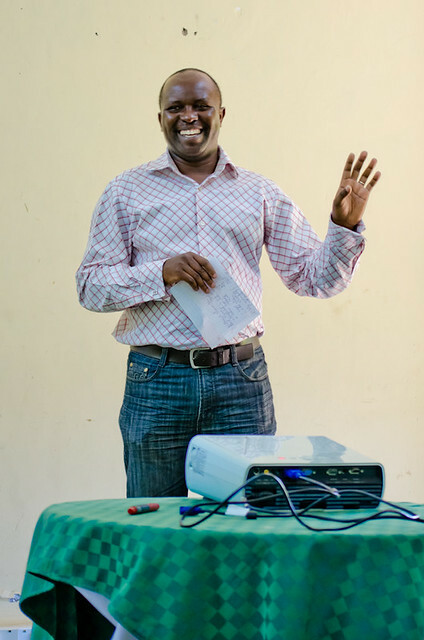 According to Mr. Olieka, he recently discovered through casual conversation, about seven other managers and directors at Mumias had also been sponsored by the same program (or a similar program) as Mr. Olieka was as a child. Mr. Olieka was followed by Pamela Lutta. 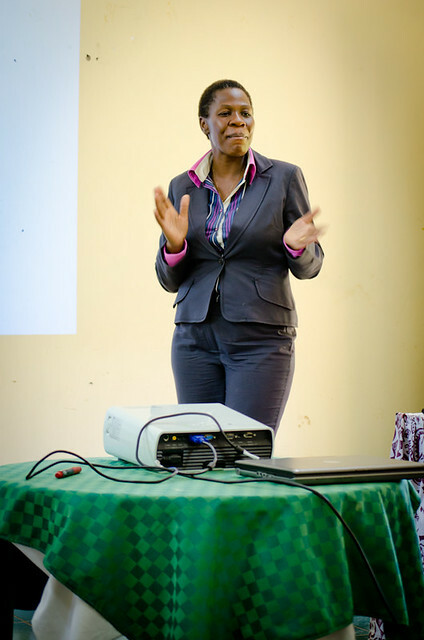 Ms. Lutta is the Director of Marketing and Corporate Relations at Mumias. She is also the ACCT International In-Country Coordinator. And, finally, she just happens to be Dr. W's sister. She is also hosting me and Cale for the 10 weeks we are in country, along with four students for these first three weeks. Ms. Lutta filled us in on all the details of the sugar company, its background and current operations. Mumias is a green certified company and in addition to processing sugar cane is looking to branch out to other markets while making sure it is using all the by products of the sugar manufacturing process. This includes, but is not limited to, electricity, bottled gas, bottled water, molasses, ethanol, and soon, rum. Tune in later for more details on the rest of the week, including to service learning trips into Mumias town and an overnight trip to Eldoret.